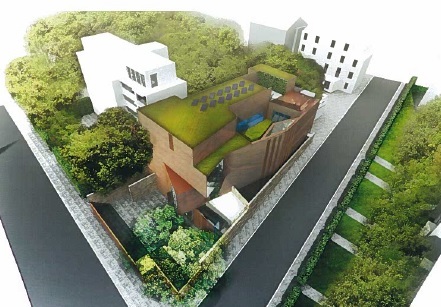 South Hampstead Synagogue has the largest congregation of any synagogue in Camden and has now outgrown its current premises in Eton Villas. Allies and Morrison were asked to advise on the feasibility of a number of re-location possibilities, culminating in the development of proposals for a new Synagogue and Community Centre building on a narrow, sloping piece of railway embankment land adjacent to the main line running into Euston Station. The new building will provide the facilities and range of activities required to support the community now and into the future, whilst also respecting and extending the nature of the site as a leafy green âlungâ in this part of north London. Not simply a place of worship, itâs objective is to provide a dynamic focal point for the local Jewish community.